The population of the Great Bustard in Turkey does not exceed 300 pairs. 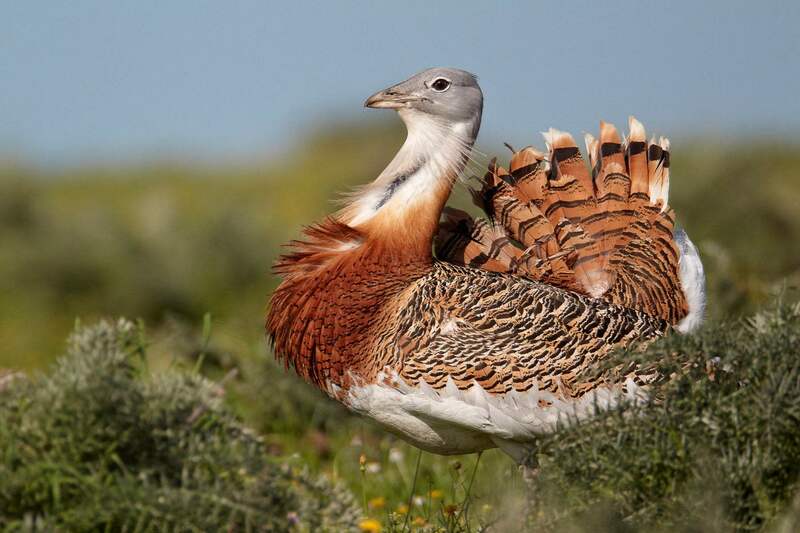 The Great Bustard (Otis tarda) is one of the largest birds in Turkey, classified as Vulnerable at the global scale. The range of this species extends plain steppes and arable fields of Central Anatolia, East, and South-East, with a small population in the inner Aegean. The Eastern Anatolia breeding population is restricted to Muş, Bulanık and Malazgirt plains, most probably wintering in Ceylanpınar and Akçakale plains of Urfa, in south-east Turkey. The population of this species is still decreasing in Turkey due to the loss and degradation of its habitat through agricultural intensification, land-use changes and infrastructure development. In addition, irrigation methods, pesticides, hunting and destruction of nests by mechanized farming limit the species’ reproductive success. Doga continues to regularly monitor the species’ conservation status through a local conservation groups network. Doga prepared the National Action Plan of the species in 2004, and now its work expanded to establish a local network of farmers across the range of the species, starting from Basmakci Acigöl and Tuz Lake Basin. The main goal of setting up this community-based program is to initiate and support agricultural practices with no harm to the species. The Ministry of Agriculture and the Authority of Special Protected Areas are two key stakeholders for the conservation of Great Bustards, working in cooperation with Doga.